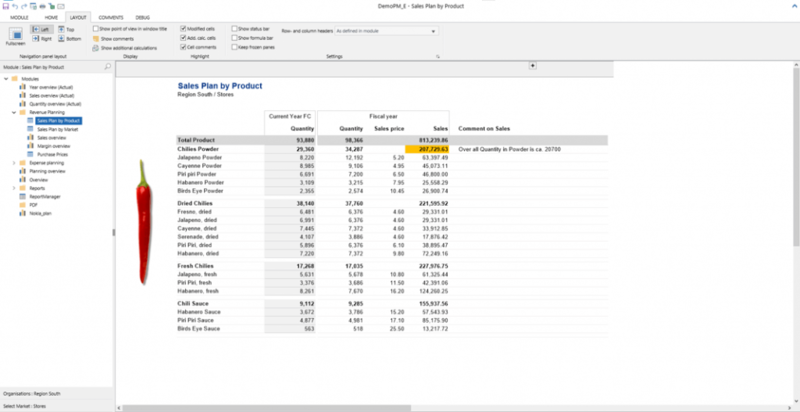 cubus outperform is an integrated CPM solution with functionality for planning, simulation, project portfolio management and strategy implementation (cubus PM). 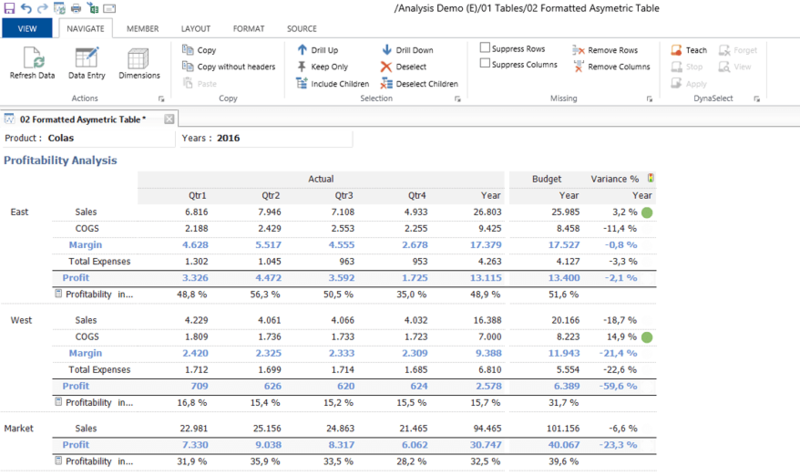 For ad hoc reporting and dynamic OLAP analyses on the web, cubus EV Analytics (formerly IBM Cognos Executive Viewer) is integrated in outperform. The product offers predefined business content, data models and logic. 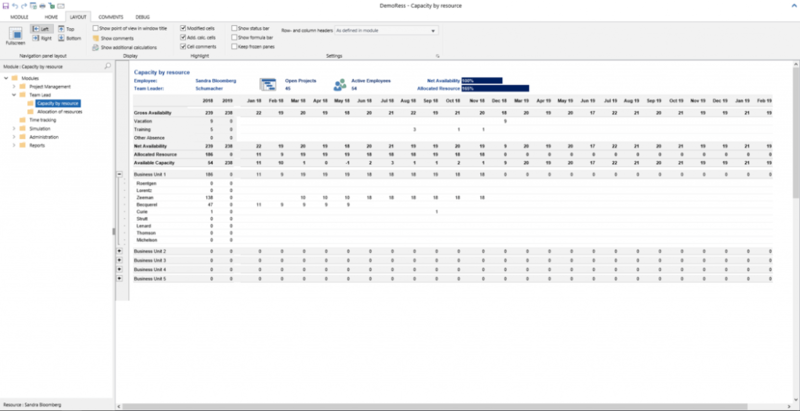 Aimed at business power users, outperform has a web-based user interface resembling Excel. outperform provides a flexible platform for building individual, complex business logic for CPM and plan­ning applications. The solution has no specific market or industry focus and is used by companies of various sizes and industries. outperform, however, does have predefined business content and logic for integrated profit and financial planning (P&L, balance sheet, cash flow), revenue and sales planning, HR planning, cost center planning, cost allocations, investment planning and project portfolio management. Customers can completely adapt and extend the models and logic to meet their specific requirements. Following initial implementation, business power users can develop outperform applications in a self-service manner without specific programming skills. 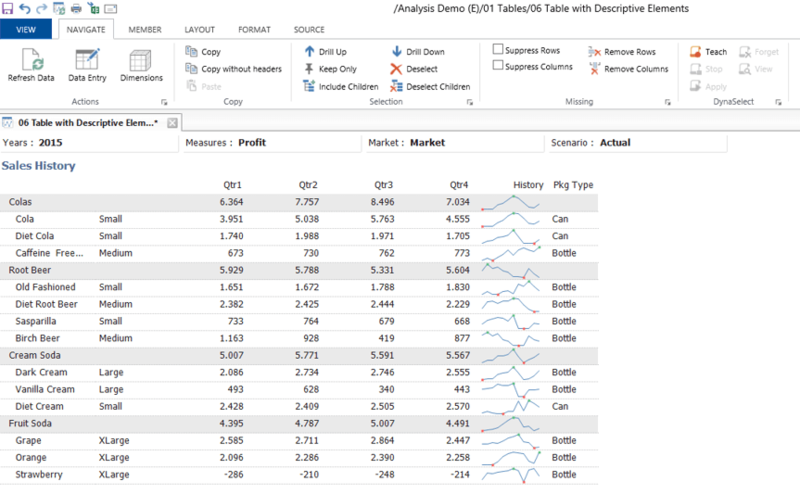 cubus EV extends outperform’s range of functions with comprehensive functionality for web-based OLAP analysis, ad hoc reporting and data visualization. outperform uses multidimensional (Oracle Essbase, IBM Cognos TM1 or Microsoft SQL Server Analysis Services) and relational databases (Oracle or Microsoft SQL Server) for data storage. While the repository and certain budget data are stored in relational structures, budget data usually resides in multidimensional structures. This separation between multidimensional and relational storage is not visible to the end user. The largest implementations in terms of concurrent users run on Oracle Essbase, but the majority of customers use Microsoft SQL Server Analysis Services. 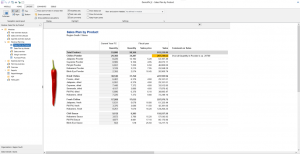 cubus outperform is an integrated CPM solution for planning, simulation, project portfolio management, strategy implementation (balanced scorecard), ad hoc reporting and OLAP analysis. Besides its main use cases (ad hoc query, standard/enterprise reporting, budgeting/planning and basic data analysis), outperform is also frequently used in the context of financial consolidation and for dashboards/score­cards. 27 percent of respondents plan to use outperform for dashboards/scorecards in the future. cubus targets mid-sized companies and large corporations across all industries. 62 percent of our sample of cubus customers come from mid-sized companies (100-2,500 employees) with a median of 130 users. However, the mean of 379 users indicates there are also some significantly larger implementations. outperform is geared to business power users with broad functionality for various BI and CPM tasks. Typical tasks carried out with outperform by business power users include viewing, navigating and exploring data, which demonstrates the feature-richness of the product. 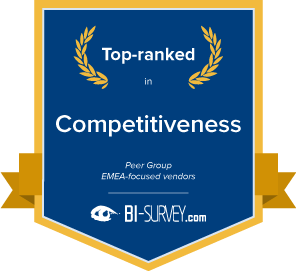 With 32 top ranks and 34 leading ranks across four different peer groups, cubus once again achieves an impressive set of results in BARC’s BI Survey. Excellent ratings in numerous important KPIs help to consolidate its position as a rather small vendor that can deliver a high level of benefits to its customers. Companies can benefit from using outperform in terms of faster and more accurate reporting, analysis or planning, improved employee satisfaction and data quality, all of which are achieved by an above-average proportion of users compared to other BI products. Consequently, many respondents feel they can recommend outperform to other companies, which is a good sign of great customer satisfaction and customer experience. BARC’s Vendor Performance Summary contains an overview of The BI Survey results based on feedback from cubus outperform users, accompanied by expert analyst commentary. Very good flexible product with an intuitive interface for users that performs well. Cubus are actively developing the product with good useful new features being delivered regularly. Customers are very satisfied with the support they receive, highlighting the close relationship cubus has with its customers. The vendor listens very carefully to customers’ needs and requirements, constantly improving its software with this information. Outstanding product that has generated millions of dollars of value for the company. cubus listens very carefully to feedback, constantly improving its software with this information. As the survey results show, customers are largely satisfied with the vendor, its implementation partners and the product, which apparently offers good value for money. 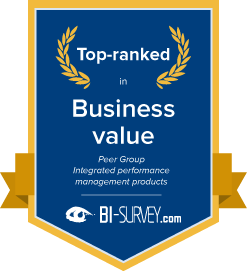 Business benefits such as faster and more accurate reporting, analysis or planning, improved employee satisfaction and data quality and better business decisions are achieved by an above-average proportion of outperform users compared to other BI products. cubus is top ranked for ‘Business value’ in the ‘Integrated performance management products’ and ‘OLAP analysis-focused products’ peer groups.